But don't take any pictures in the Gulf no-fly zone!! 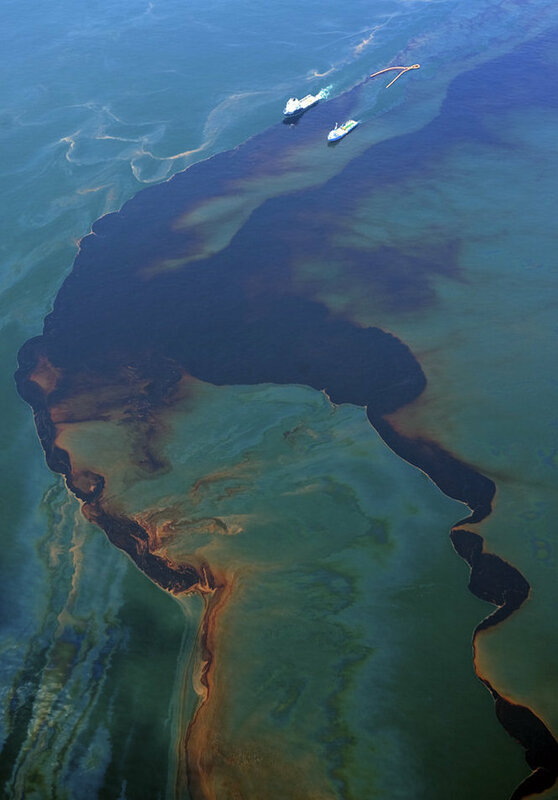 Pursuant to 14 CFR section 91.137(a)(1) temporary flight restrictions are in effect for deepwater horizon/mississippi canyon (mc252) incident cleanup and reconstitution operations an area bounded by: 290500n/0904000w or the leeville /lev/ vortac 258 degree radial at 30.1 NM to 300000n/0890000w or the gulfport /gpt/ vortac 169 degree radial at 24.7 NM to 300000n/0870000w or the crestview /cew/ vortac 196 degree radial at 52.2 NM to 280000n/0870000w or the panama city /pfn/ vortac 208 degree radial at 149.6 NM to 280000n/0904000w or the leeville /lev/ vortac 201 degree radial at 76.3 NM to the point of beginning at and below 3000 feet AGL excluding the airspace outside of 12 nautical miles from the us coastline. This area is also depicted on U.S. Gulf coast VFR aeronautical chart id helgc as an area bounded from south pelto 2/sp02 then to south pass 6/sp06 then to chandler 39/ch39 then to pensacola 984/pe984 then to desoto canyon 635/dc635 to south timbalair 242/st242 and then back to original point. All aircraft operations are prohibited except those flights authorized by ATC, routine flights supporting offshore oil operations; federal, state, local and military flight operations supporting oil spill recovery and reconstitution efforts; and air medical and law enforcement operations.